A seasonal Chestnut Beer, produced by the Troll brewery in autumn, between September and December. 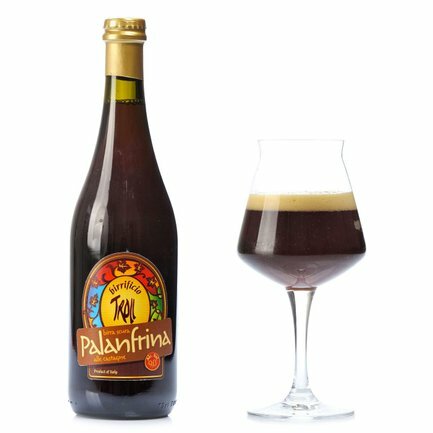 The Palanfrina is a full-bodied brown beer. The addition of chestnuts to the brew produces a beer that, from highlights to perfumes to flavours, carries the flag of this ingredient, especially the great sensations of roast chestnut. Alcohol 9% vol. Outstanding with mature cheese, astonishing with desserts based on cocoa and coffee.